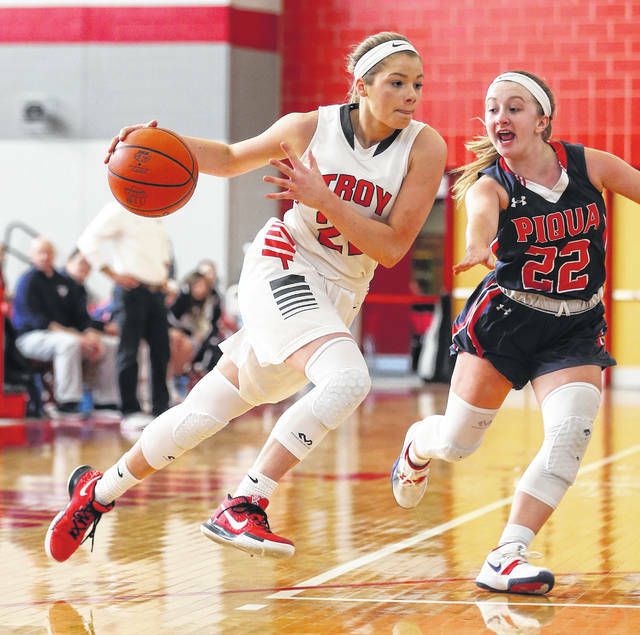 https://www.dailycall.com/wp-content/uploads/sites/30/2019/02/web1_020919lw_troy_mcgraw_piq_bachman-1.jpgLee Woolery|Miami Valley Sunday News Troy senior Lauren McGraw drives around Piqua’s Kelsey Bachman during Saturday’s Senior Night game at the Trojan Activities Center. 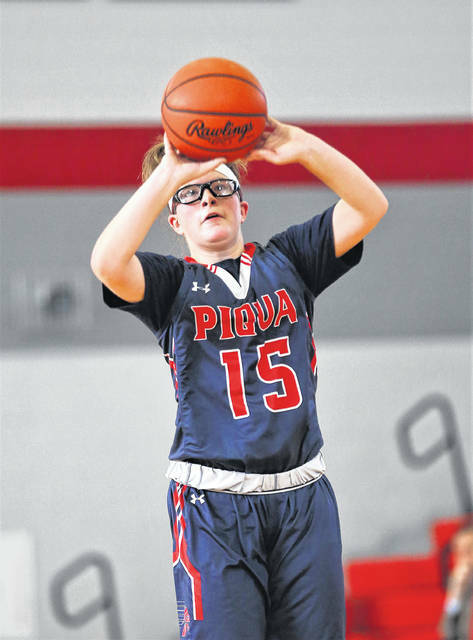 https://www.dailycall.com/wp-content/uploads/sites/30/2019/02/web1_020919lw_troy_bass_piq_yeomans-1.jpgLee Woolery|Miami Valley Sunday News Troy’s Tia Bass works in the paint as Piqua’s Tylah Yeomans defends Saturday. 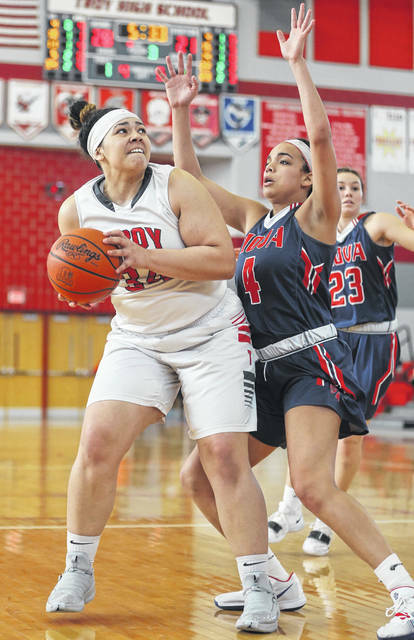 https://www.dailycall.com/wp-content/uploads/sites/30/2019/02/web1_020919lw_troy_skylarkirk-1.jpgLee Woolery|Miami Valley Sunday News Troy senior Skylar Kirk brings the ball up the floor Saturday against Piqua. 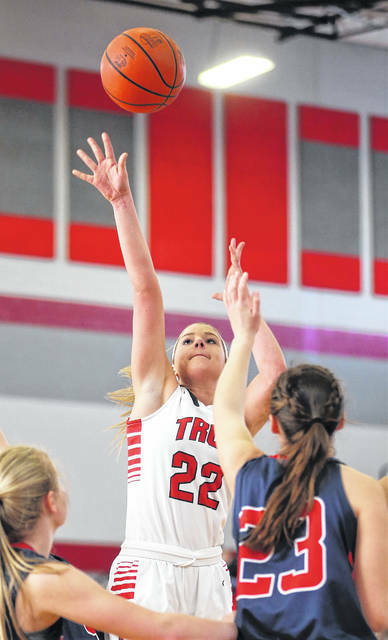 https://www.dailycall.com/wp-content/uploads/sites/30/2019/02/web1_020919lw_piq_karleyjohns-1.jpgLee Woolery|Miami Valley Sunday News Piqua’s Karley Johns hits a 3-pointer Saturday at Troy. 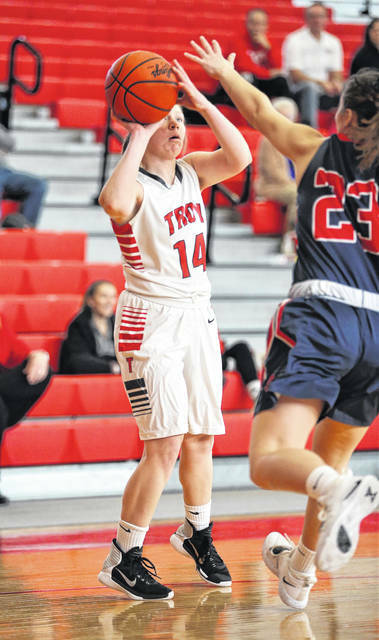 https://www.dailycall.com/wp-content/uploads/sites/30/2019/02/web1_020919lw_troy_erikainnes-1.jpgLee Woolery|Miami Valley Sunday News Troy senior Erika Innes takes a shot Saturday against Piqua. 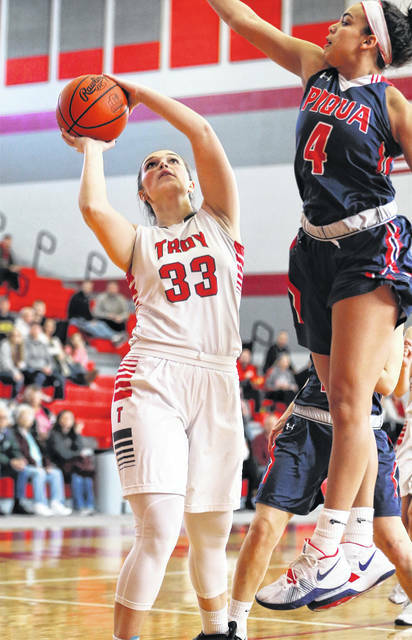 https://www.dailycall.com/wp-content/uploads/sites/30/2019/02/web1_020919lw_troy_paytonriley-1.jpgLee Woolery|Miami Valley Sunday News Troy senior Payton Riley goes up for a shot Saturday against Piqua. 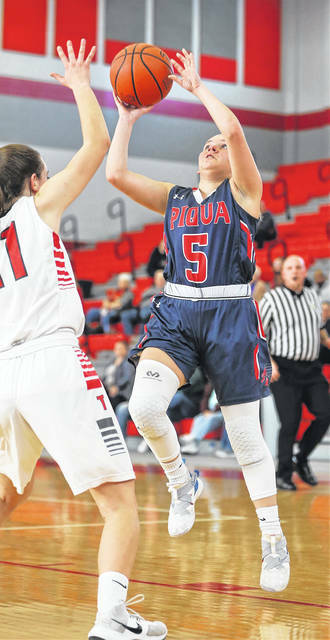 https://www.dailycall.com/wp-content/uploads/sites/30/2019/02/web1_020919lw_piq_izzykidwell-1.jpgLee Woolery|Miami Valley Sunday News Piqua’s Izzy Kidwell goes up for a shot Saturday at Troy. 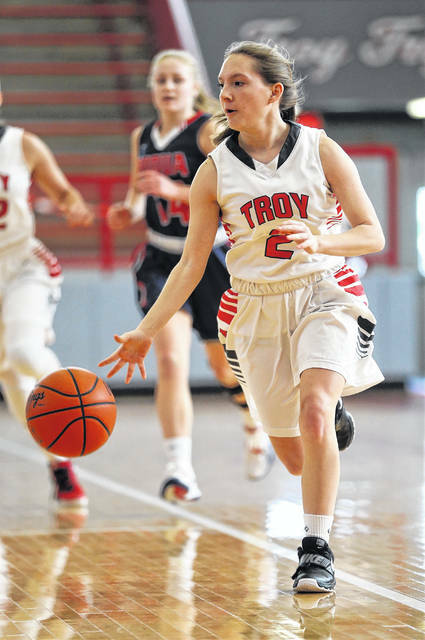 https://www.dailycall.com/wp-content/uploads/sites/30/2019/02/web1_020919lw_troy_macietaylor-1.jpgLee Woolery|Miami Valley Sunday News Troy’s Macie Taylor drives to the basket Saturday against Piqua. https://www.dailycall.com/wp-content/uploads/sites/30/2019/02/web1_020919lw_troy_morgankaiser-1.jpgLee Woolery|Miami Valley Sunday News Troy’s Morgan Kaiser hits a layup Saturday against Piqua. 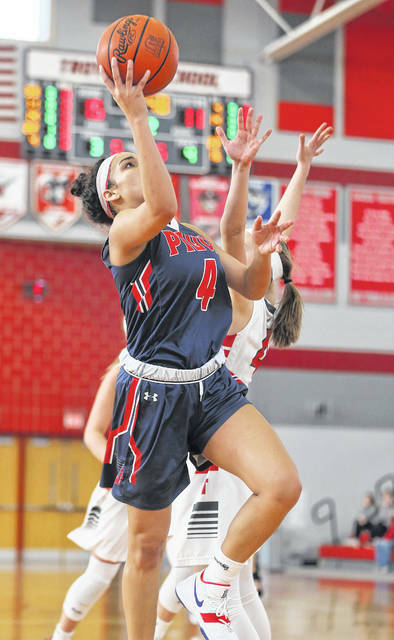 https://www.dailycall.com/wp-content/uploads/sites/30/2019/02/web1_020919lw_piq_tylahyeomans-1.jpgLee Woolery|Miami Valley Sunday News Piqua’s Tylah Yeomans scores on a fast break Saturday against Troy. 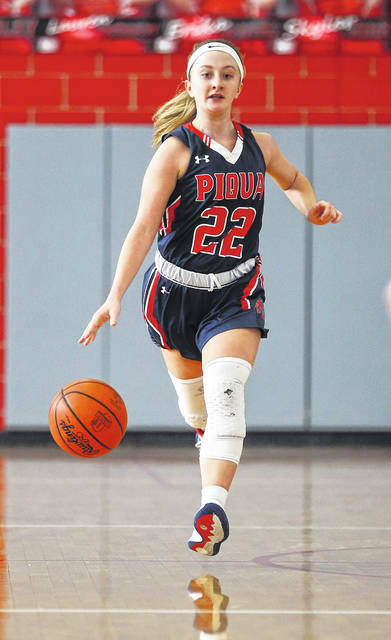 https://www.dailycall.com/wp-content/uploads/sites/30/2019/02/web1_020919lw_piq_kelseybachman-1.jpgLee Woolery|Miami Valley Sunday News Piqua’s Kelsey Bachman brings the ball up the floor Saturday at Troy. 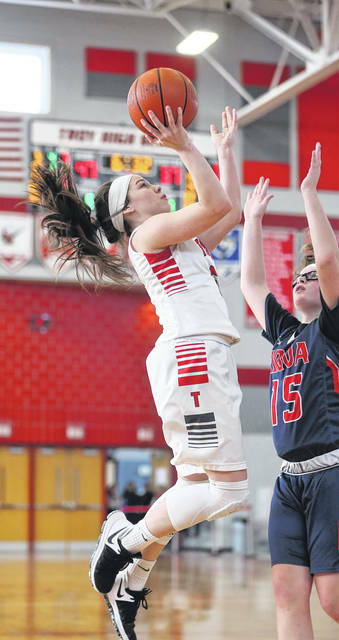 https://www.dailycall.com/wp-content/uploads/sites/30/2019/02/web1_020919lw_troy_laurenmcgraw_shot-1.jpgLee Woolery|Miami Valley Sunday News Troy’s Lauren McGraw shoots over the Piqua defense Saturday.